The Captain Lyon room, named for a 19th century Lake Champlain ferry boat captain, is a favorite for guests looking for a luxurious ambiance. 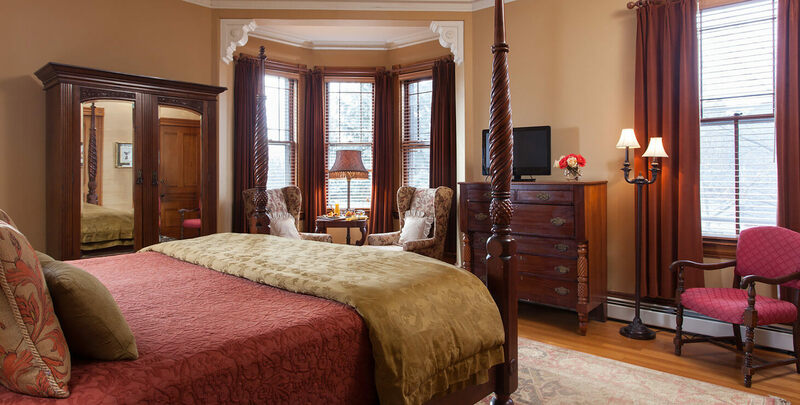 This room features a commanding four-poster pineapple king bed. Guests can enjoy one our Vermont artisanal cheese plates and a bottle of wine while reading in the leather club chairs and enjoying the afternoon sun in the turret seating area. 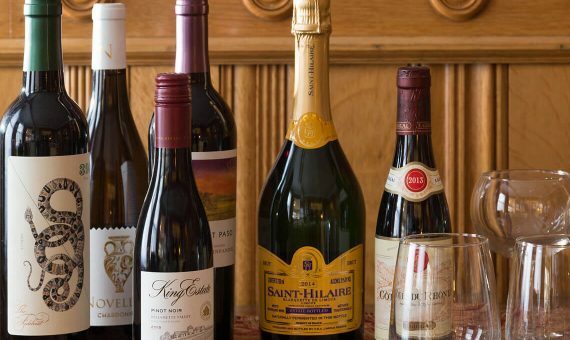 Enjoy a bottle of bubbly, white, or red wine placed in your room upon arrival.